Zip Arc Design > Boiling Hot Water, Chilled & Sparkling Tap (Bright Chrome). Design Arc HydroTap. Kitchen tap in bright chrome with filtered, boiling hot, chilled and sparkling water. Filtered boiling, chilled and sparkling water. Ideal for cooking, making tea and coffee (no need for kettle). Single under counter command centre including full colour interactive touch screen display (pin code protection). 2 x boiling water safety modes. 3 x energy saving modes including sensor activated "sleep when its dark". Easy to use controls with safety lock button. Integrated 5 bar pressure limiting valve (with dual check valve). 1 x 1Kg CO2 cylinder (minimum room space required 38m per cylinder). Command-Centre size: W280 x D470 x H335 mm. Power: 1.70kW (1 x 13 amp fused spur). Minimum water pressure required: 2.5 bar. 5 Year warranty: Zip warranty this hot tap for 5 years (appliance warranty 36 months plus additional 24 months tank warranty). NOTE: Zip boiling water taps must be installed by a suitably qualified person in accordance with manufacturers instructions and with all relevant plumbing and electrical regulations. The new Zip Arc HydroTap Design 3 in 1 range incorporates the latest innovative technologies with inspiring designs to instantly give you water of unparalleled purity. 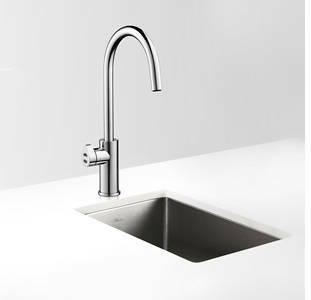 Zip HydroTap Arc will complement any modern kitchen, and the crystal clear water will help your healthy lifestyle. In 1970, Zip installed the world's first boiling water kitchen tap. This provided instant boiling water from an under-sink pressurized tank. 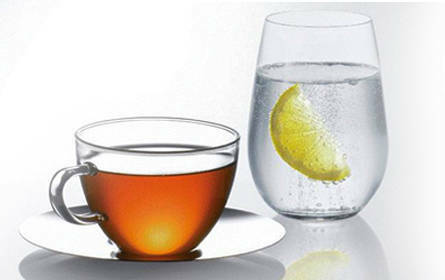 Today Zip is one of the largest domestic and commercial manufactures in the world for boiling hot water taps. The pure taste of Zip puts the pleasure and sparkle back into water, with instant boiling, chilled and sparkling filtered water on tap. So now you'll enjoy drinking more and experience the many health benefits that come form hydration.